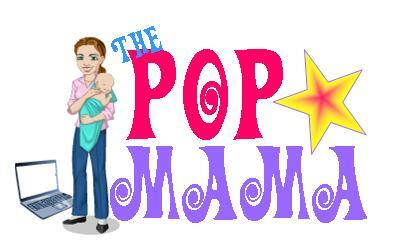 Pop Mama: Let's be honest, the Pinterest dollar store does not exist. Let's be honest, the Pinterest dollar store does not exist. Where the eff is the dollar store that all of the people on Pinterest go to? Okay, so now that I have gotten that off my chest. Happy Valentine's week. I don't really know what to say about Valentine's Day since my husband and I inevitably let is pass uneventfully (save for a card and maybe a small gift) each year. We don't typically go out to dinner because: 1) it is too crowded and overpriced; 2) we would need a babysitter; and 3) it is usually on a week night. However, we do plan on celebrating in our own way and decided to go away the weekend following V-day because: 1) our children have been consistently getting up by 6am for months now and we are beat, and 2) my mother so graciously said she would babysit. We need it and I plan on enjoying it. One thing I am doing differently this year for the big day is sending Cam to daycare with a bag of Valentines for his classmates. We worked on them this morning -- and by "we" I mean I assembled them and he ate a sucker. I thought this would be a nice little activity to burn 20 minutes (1/2 hour if I was lucky) and I was finished in 7 minutes and he was jonesing for a second sucker (which he did not get). Valentine's day is different in other ways this year too, such as I have watched the Valentine's day episodes of Handy Manny, Dora the Explorer, Max & Ruby and Doc McStuffins. My favorite? Doc McStuffins of course. Got a love a strong, science minded girl character!